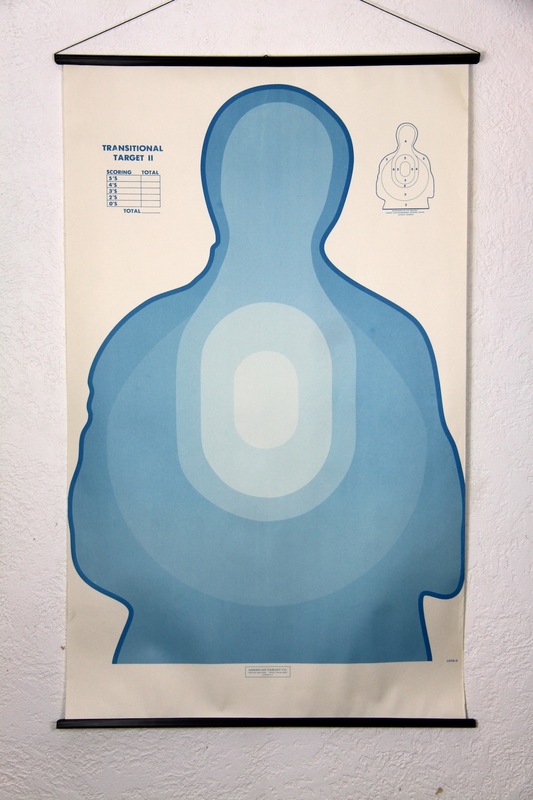 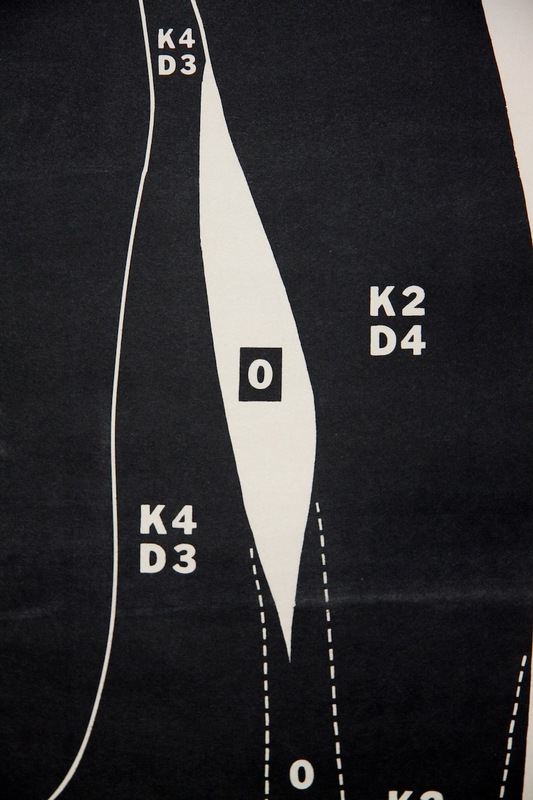 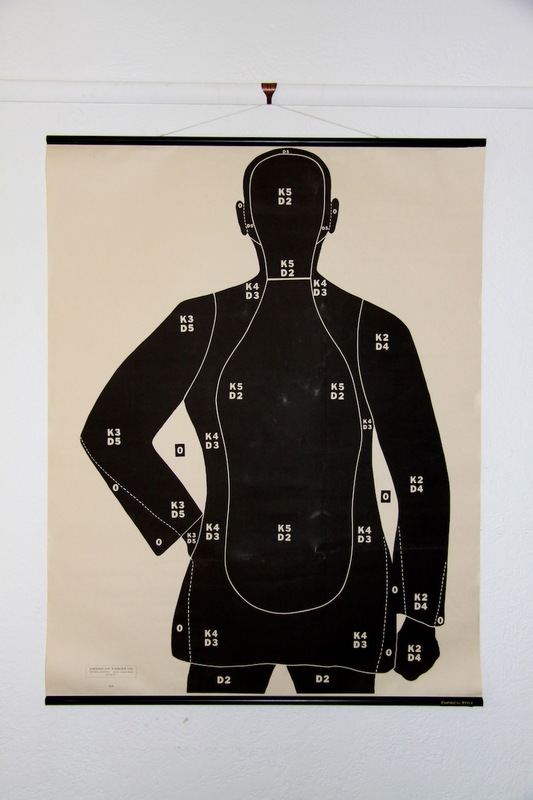 Empirical Style » Empirical Syle » Vintage Targets » (e) Body Target Graduated Blue. 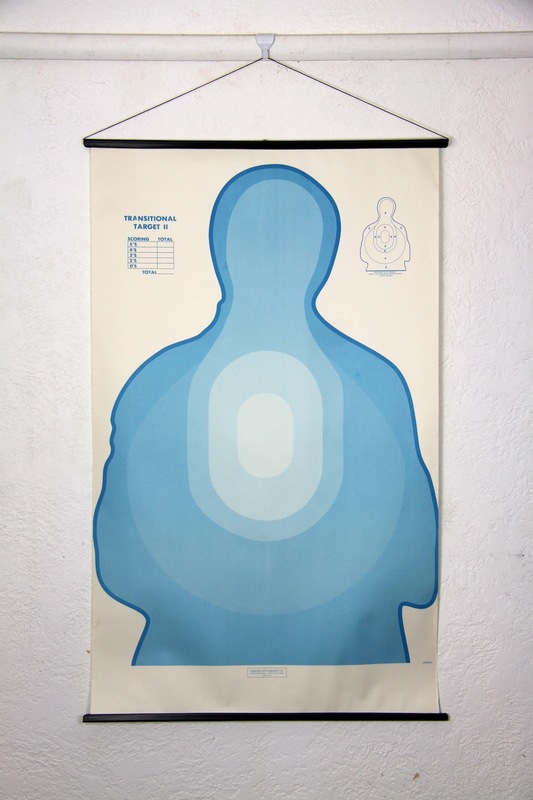 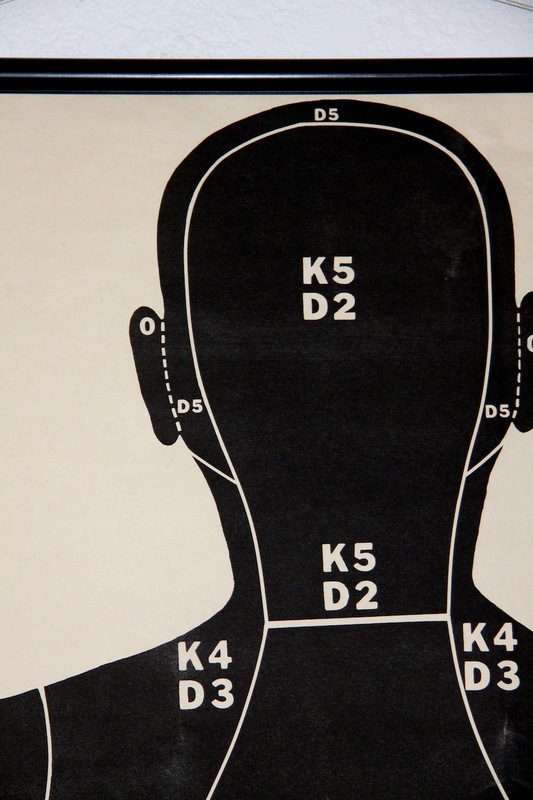 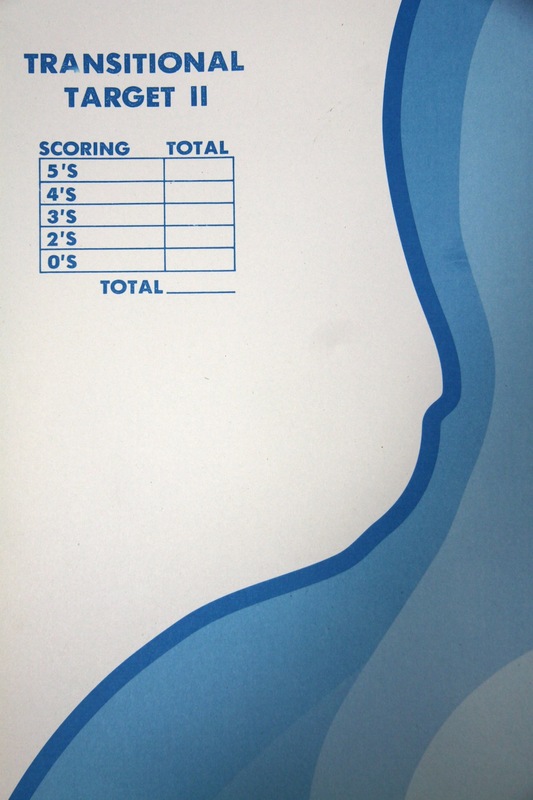 (e) Body Target Graduated Blue. 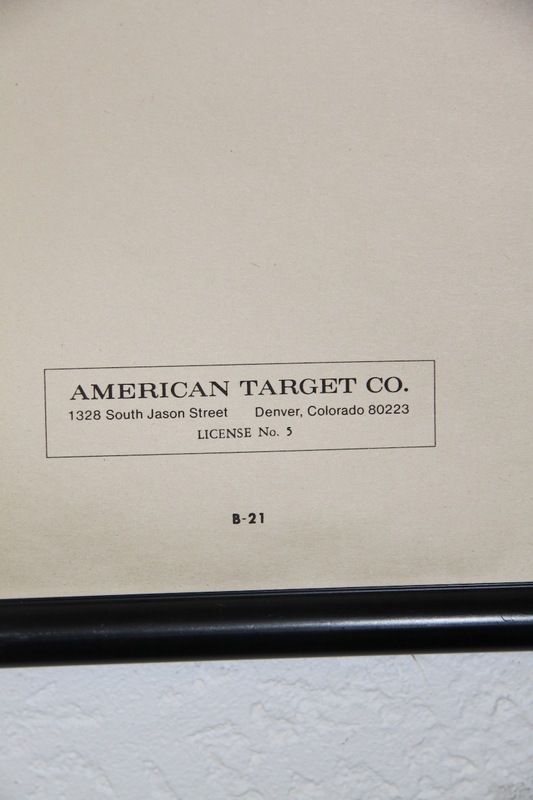 A vintage body target with hanging rods top and bottom. measures approx 600 mms wide and 900 mms high.